Not going somewhere fun and tropical this summer? Don’t worry: mark. has got you with their new limited edition Buenos Aires Vibe collection. 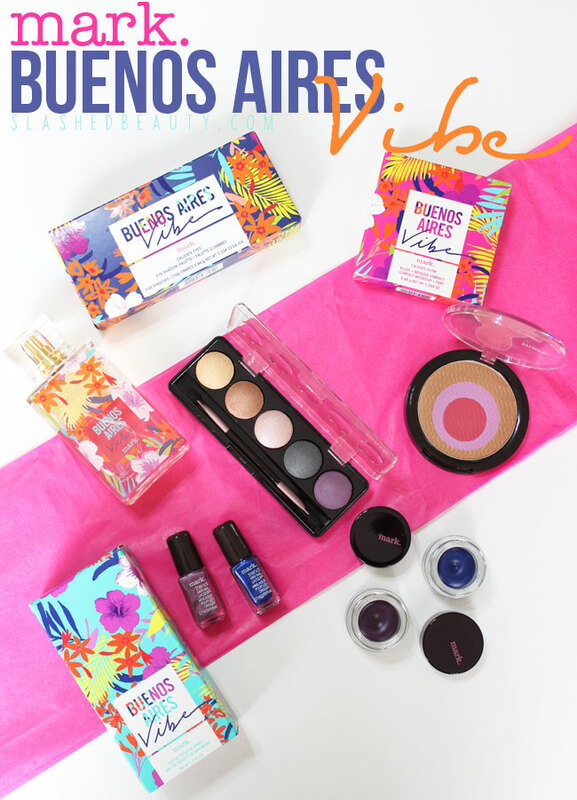 Seriously the brightest thing to grace my mailbox this season, this collection is has a laid back, yet punchy mood that will have you itching to get your toes in the sand and a margarita in your hand. First off, mark. released a fragrance to compliment the collection. 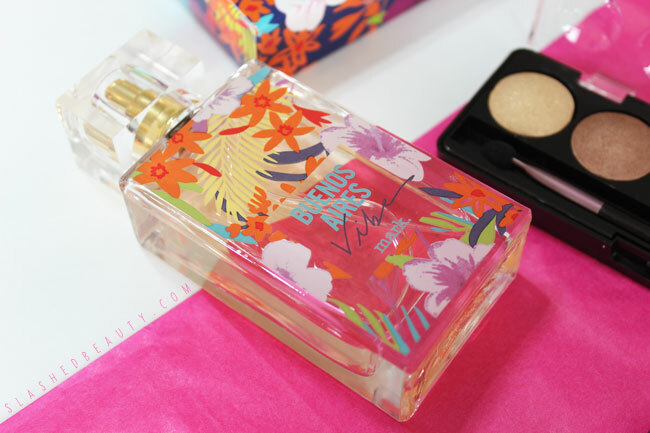 The Buenos Aires Vibe Eau de Toilette ($24) is light and bright, with super fruity notes to it. There’s a very slight musk in the dry down of the scent, but this mostly reminds me of sweet tropical air. It’s refreshing, and luckily not too strong. I don’t find it lasting very long on me, but I can sometimes catch a hint of it after a couple hours. I was most excited for the new shades of their Saved By the Gel Waterproof Eyeliners ($11). 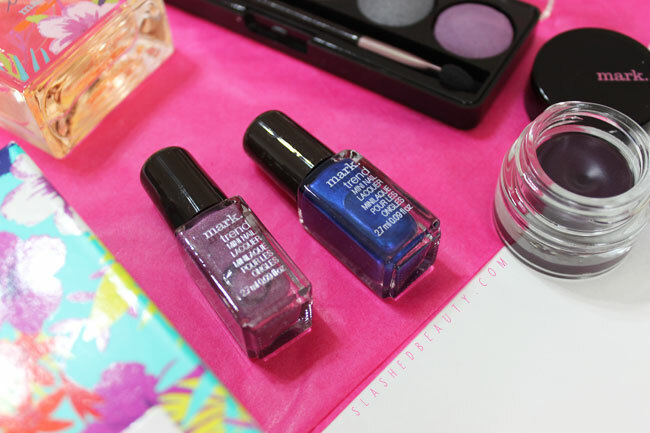 There’s an electric blue, called Cool Azul, and a romantic purple called Majorly Murado. You get a ton of product in these little pots, and they each come with a full size double ended eyeliner brush (which completely justifies the price for me personally) with one bent end that makes application easy. I rocked the blue in my Fourth of July face of the day, and I love using the purple to bring out my brown eyes. While the formula is the same creamy and bendable one I’ve come to love, I found that these two shades smudged a bit easier if you touched them, even after setting, than their permanent shades. For the most part, though, they can withstand sweat or teary eyes if you don’t wipe at them. It wouldn’t be a sunny summer collection without a little glow on the face, am I right? The new Caliente Glow Blush + Bronzer compact ($16) adds just that. 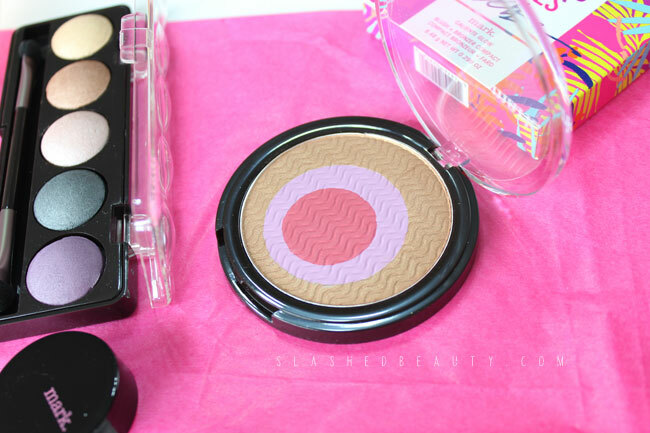 With two blush shades encircled within a ring of golden shimmer bronzer, this is an awesome all-in-one face product to add light color and radiance. Since the bronzer is on the light side but still super luminous, I actually ended up swirling all the shades together to create a highlighting blush effect (as seen in the last pic of this post). I love the shades they made for the Nailed It Trend Mini Nail Lacquer duo ($7). Futbol Blue is a beautiful night-time sea blue which was inspired by Buenos Aires’ home team, while Palermo Purple is a super sparkly purple. Finally, we’ve got the Caliente Eyes Eye Shadow Palette ($18), which is the “eh” product of the collection. 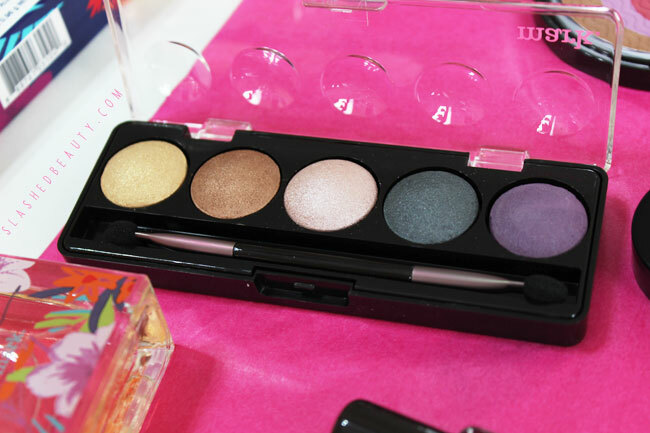 The palette consists of six baked eyeshadows in a range of colors from light gold shimmer to a soft purple. The shadows are extremely sheer, which is not quite my cup of tea, but you can get quadruple the pigmentation with a base. I used the Maybelline Color Tattoo in Creamy Beige to get the final product below. This helped them stand out and stay put all day. 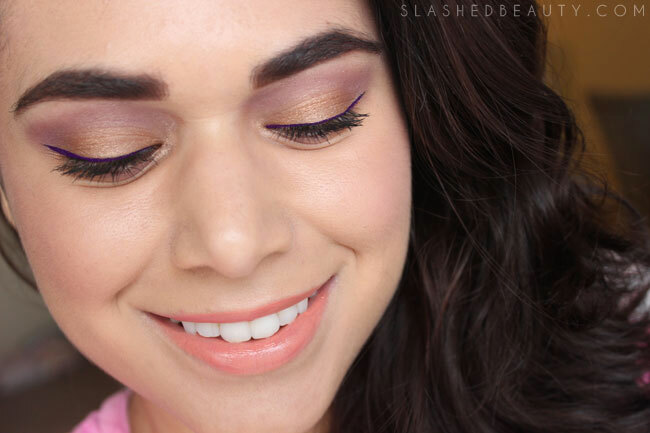 I’ve been pairing the bronze shade on the lid with a purple crease for a wearable summer look. Overall, my must haves from this collection are the new Saved By the Gel shades, and I would probably suggest skipping the palette if you prefer more pigmented shadows like I do. I’ve also been reaching for the blush/bronzer duo more for getting my glow on in one step during busy mornings. I’m not sure if they’re planning on keeping any of the items as permanent, so check out the mark. Buenos Aires Collection while you still can online. So many gorgeous pieces in this collection! That packaging is straight summer! Great look with a hint of color! Your look here is so adorable. LOVE! This looks great. Even though the palette isn’t that pigmented your eyes look like it is. I love the gold with the purple shades. Too bad the eyeshadow palette isn’t very pigmented. The packaging is so cute and I’m glad the rest of the collection worked for you. The packaging screams tropical. Lovely makeup! You created a beautiful look with these. I really like that glow blush. I love that glow blush so pretty! I love the look you created. The eyeshadow palette looks pretty! The look you created is SO pretty! I love those shadows on you. 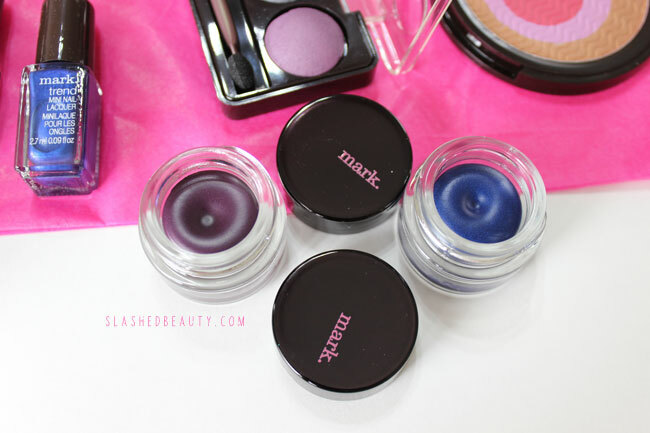 I’ve actually not used any of the Mark cosmetics. I don’t really think I’m their target demographic! lol. The eyeshadows have almost a watercolor feel to them, which is kinda neat.